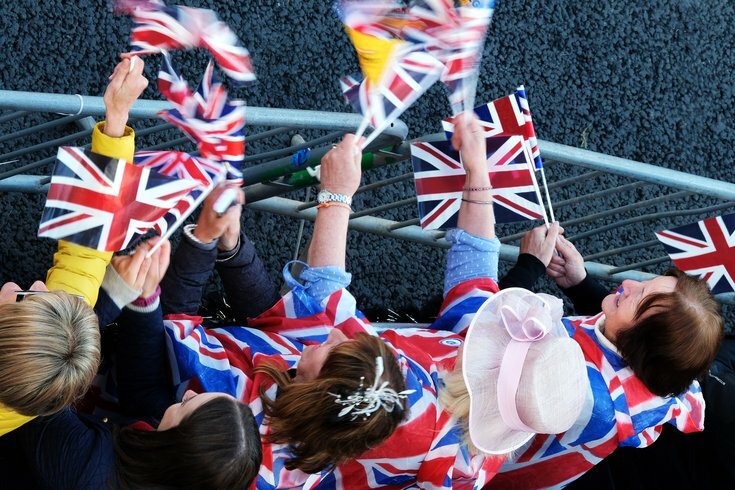 May 19, 2018; Windsor, England, UK; Well-wishers along the wedding route for the Royal wedding at Windsor Castle. Well, Meghan Markle and Prince Harry are officially married. The festivities started at 4 a.m. Eastern time (that's 9 a.m. in the U.K.) at St. George’s Chapel at Windsor Castle. The actual ceremony went on pretty much without a hitch; the couple looked happy, the dress elegant, structural, gorgeous, and they mixed traditional and modern elements into the ceremony gracefully. Many of the more stuffy traditions for Kate and William’s wedding were tossed out the window — probably because Harry isn’t set up to be the next king, and some of the tradition surrounding the Royal Family has cooled off a bit in recent years. Posting this in honor of all that you represent: Change, Modernity, Diversity, Openness, Simplicity and the Power of LOVE. A running tab of who was there and what they wore. You're welcome.